I bought a few weeks back hella cheap fresh half a kilo strawberries for 2 buck! For 2 buck! And why not turn them into the main ingredient on a cake? Strawberries in cake are always good in my book. And otherwise, strawberries do well in morning yogurts too. I got inspired by the classical 'Victoria Cake'. In fact it's 90% V-cake but instead using cream I used cream cheese. 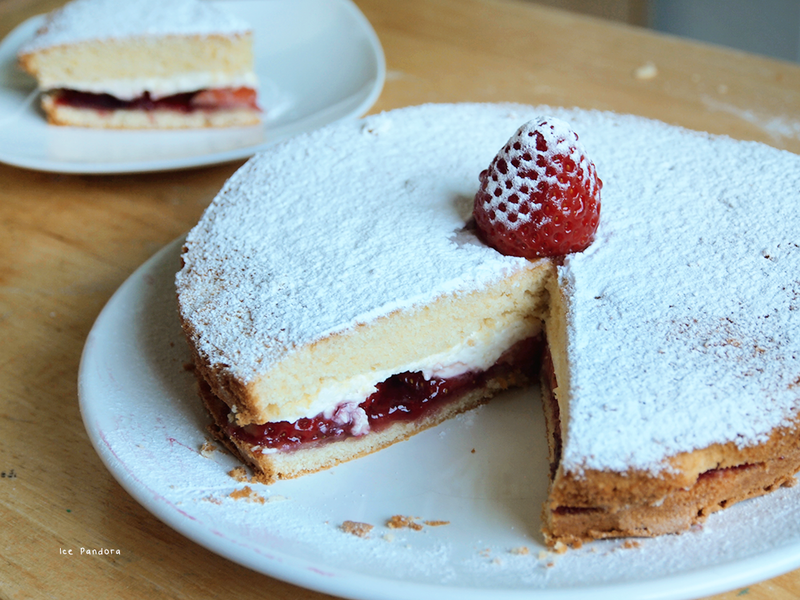 So please, try out this fast, easy, delicious strawberry cake recipe! 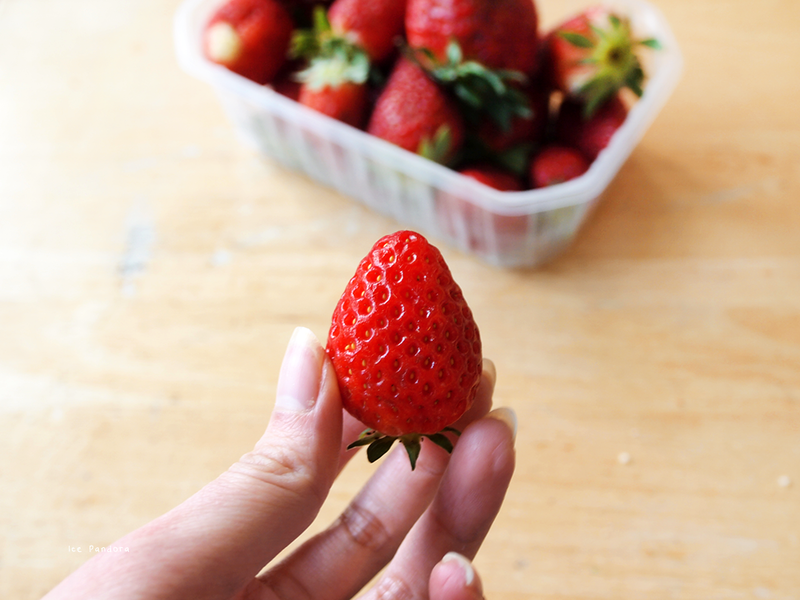 Ik kocht een paar weken terug super goedkope verse aardbeien van halve kilo voor €2! En waarom de aardbeitjes niet in een taart gebruiken? Aardbeien in taart is tijdloos en doen het altijd goed. En anders doen aardbeien ook goed in de yoghurt. 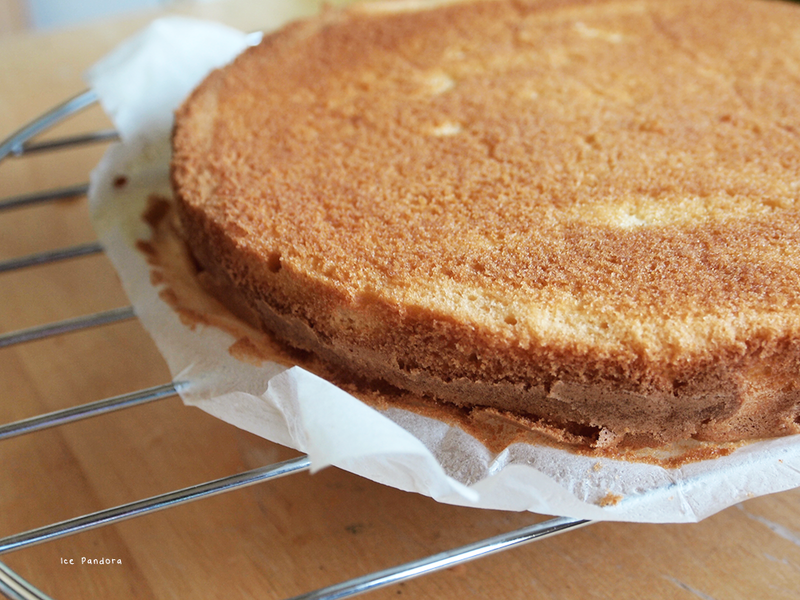 Ik liet me inspireren op de klassieke 'Victoria cake'. Nouja in feite is het 90% V-cake maar het enige verschil is dat ik room kaas hebt gebruikt in plaats van slagroom. 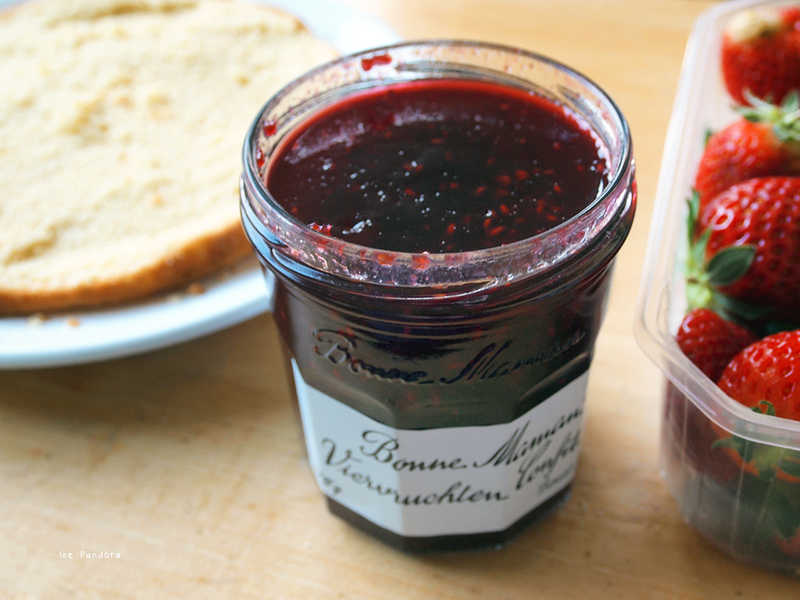 Dus probeer deze lekkere gemakkelijk en snel te maken aardbeientaart recept! Pre-heat oven to 180°C and line a 10Ø cm cake tin with baking paper. 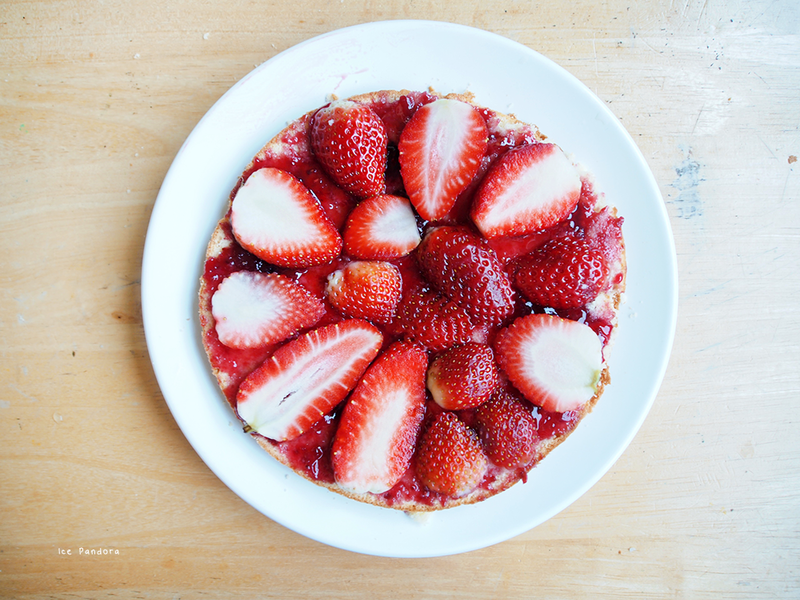 Cut strawberries in thin slices and set aside. 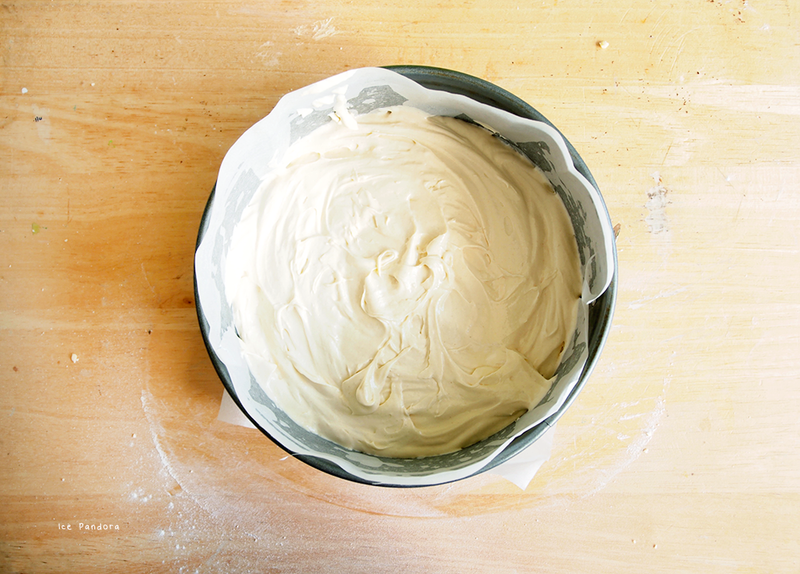 Sift flour + baking powder and then add the rest of the cake ingredients in one big bowl. Turn the mixer on and beat everything until smooth and combined! Pour the batter in the prepared cake tin and bake for 20 minutes until golden brown. Rest for 5 minutes. Remove from baking tin and let it cool down. Remove baking paper. 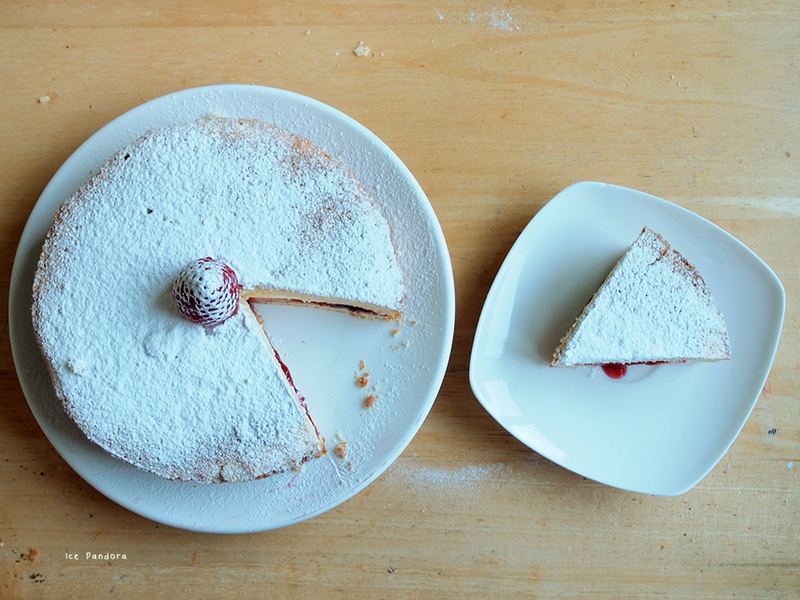 Cut the cake horizontally to create 2 circles. 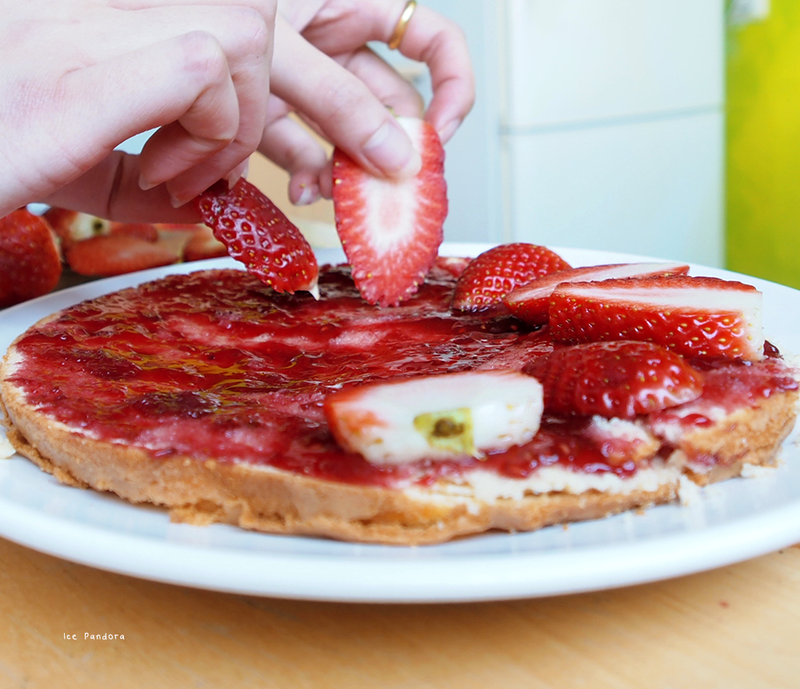 Spread on the inside of cake circle #1 with the jam and divide the sliced strawberries. 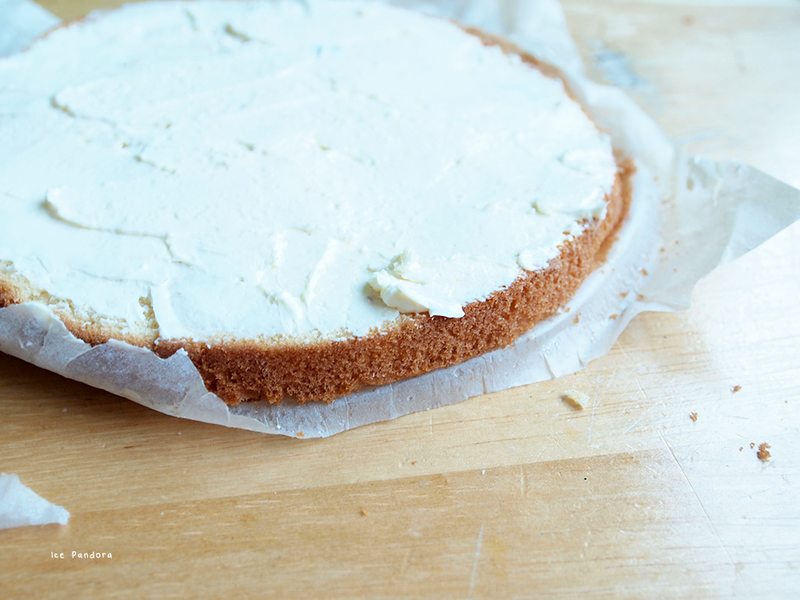 For the cake circle #2: beat the cream cheese with the icing sugar until smooth and once smooth spread it on the inside of cake circle #2. 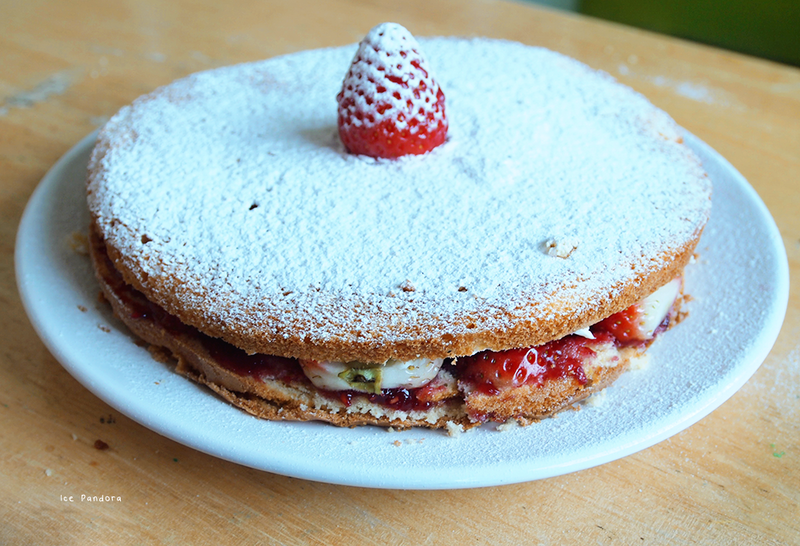 Build the cake on top of each other and decorate the top with icing sugar and strawberries! Get in my belly! Je taart ziet er zo goddelijk lekker uit! Looks delicious! Your family is so lucky to have someone like you that loves to cook -- I bet you have a lot of yummy dishes in the fridge stocked up! That looks so yum! And why were the strawberries so cheap!? You always have the best recipes ever! This is definitely something I'm trying this weekend - looks easy enough and delicious to boot! You scored those strawberries so cheap! Interesting how you replaced the cream with cream cheese. It looks so good! 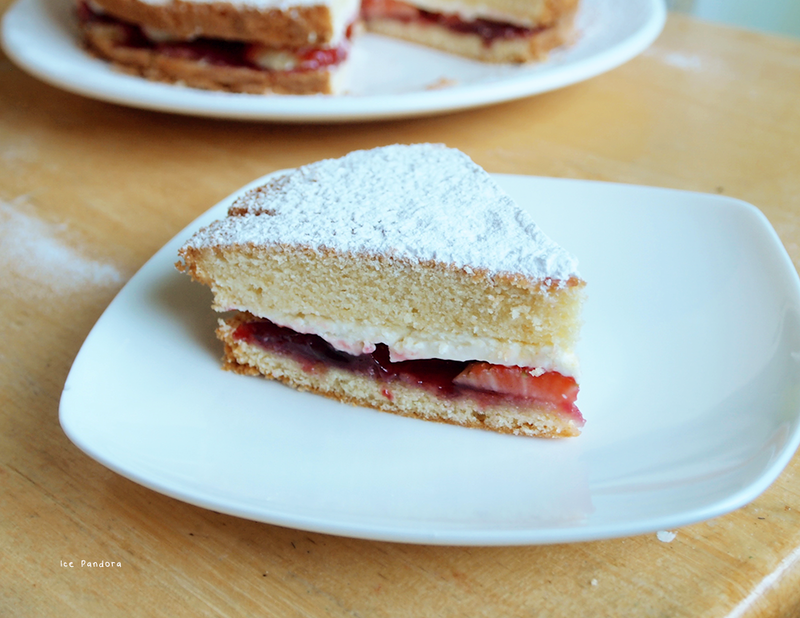 Such a gorgeous simple and delicious cake! I've been wanting to make a strawberry short cake forever but our big oven has been out of order for 3 months now and I'm dying without an oven to bake! Can't wait till we get a new one! Thanks for the recipe and inspiration! Noms I could totally eat this entire thing, easy!